Breakfast is hands-down the best meal of the day. 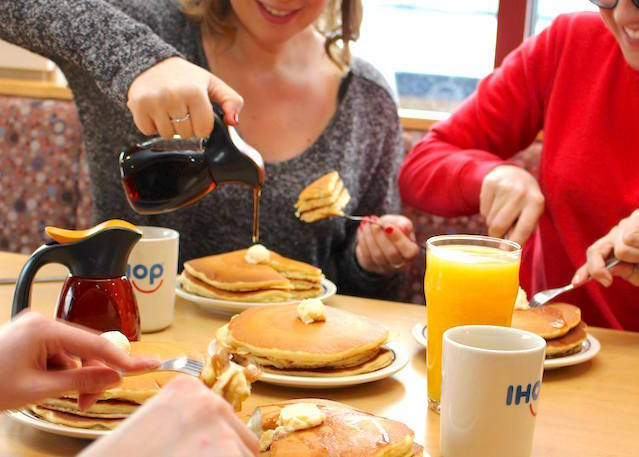 My go-to option is eggs, but this deal is a great incentive to switch things up: On Tuesday, IHOP will offer a short stack of buttermilk pancakes for just $1. Here’s how to get a ridiculously cheap breakfast. Whether you’re looking to start your day off right or are craving breakfast for dinner, IHOP has you covered; the deal runs from 7 a.m. to 7 p.m., giving you plenty of time to indulge. The offer is available for dine-in only at participating restaurants, so be sure to check with your local IHOP before heading in. Just when you thought this deal couldn’t get any better, it does — 100% of your payment will go toward a good cause. IHOP has partnered with the No Kid Hungry campaign to help provide every hungry child in the U.S. with a healthy breakfast. The company’s goal is to sell 1 million pancakes on Tuesday to support the cause. Yep, I think I’ll have pancakes for a change! Your turn: Will you be heading to IHOP for $1 pancakes? Tell us in the comments below! Kelly Smith is an editorial intern at The Penny Hoarder and a student at The University of Tampa. She’ll take pancakes over waffles any day.